Clear, calm voice instructions match those of the HeartStart FRx defibrillator. 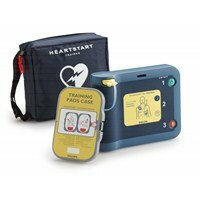 The unit resembles the actual defibrillator, yet is sufficiently different to avoid inadvertent use in an emergency. Preconfigured sudden cardiac arrest scenarios simulate how the FRx AED will operate during a real-life cardiac arrest event. Training for both adult and infant/child CPR is included. 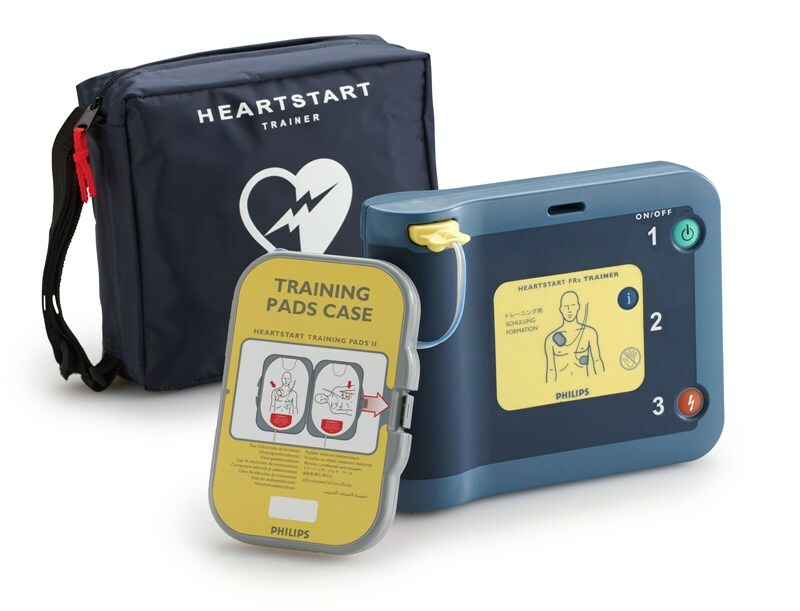 Works with internal and external pads and adapters, allowing instructors to provide clues to pad placement, resulting in more realistic training. 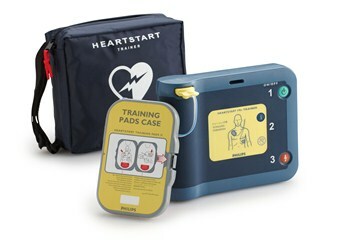 Also, accepts Infant/Child Key for pediatric defibrillation training and pediatric CPR coaching.